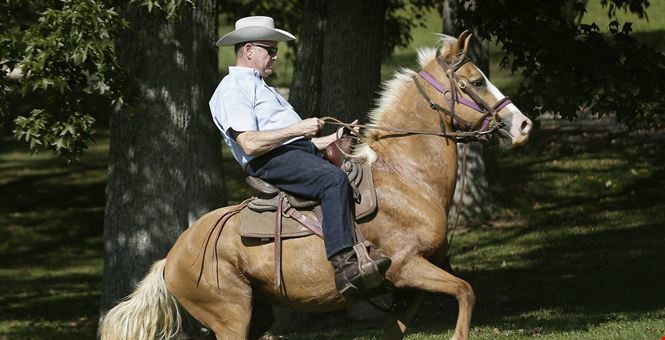 Trump Wave Last Year Also Lifts Roy Moore and Others To Senate | Public Advocate of the U.S. It's often said that you can know a man by his enemies. That being the case, we can know a lot about Judge Roy Moore by the blaring headline on Huffington Post last night: "Alabama Earthquake: GOP Picks Outsider Bigot." Translated, this means, "GOP Picks Conservative Christian, Anti-Establishment Candidate." Sounds good to me. What does Moore's victory mean in national, political terms? What does it mean in social and cultural terms? First, Moore's victory reminds us that the same anti-establishment wave that brought President Trump into office brought Moore the GOP victory. To the extent Trump is associated with the establishment, to that extent, he loses much of his appeal. Conversely, to the extent a candidate is perceived to be anti-establishment, to that extent the candidate is embraced by the core of Trump's base. That's why the president's endorsement of establishment candidate Luther Strange only went so far. That's why the investment of $30 million in GOP advertising funds only went so far. Who wants the endorsement of the swamp? Who wants to be part of the swamp? That's why the crowd that attended the Trump rally last Friday in Alabama chanted, "USA, USA" more than "Luther Strange, Luther Strange." And that's why the president had to hedge his bets, with statements like, "I'll be honest, I might have made a mistake." And, "If his opponent wins, I'm going to be here campaigning like hell for him."